Can She Make a Cherry Pie, Billy Boy, Billy Boy? 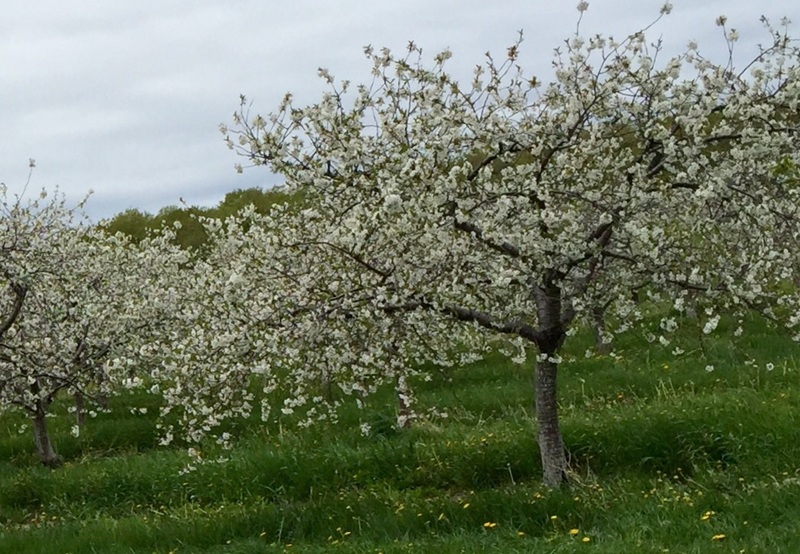 In 1896 the first cherry trees were planted on the Door County peninsula and the rest is history. Door County’s Mortmorency cherry is the cherry of choice, a tart one with medicinal claims. Cherry juice is sold by the bottle and used to treat conditions like inflammation and arthritis. 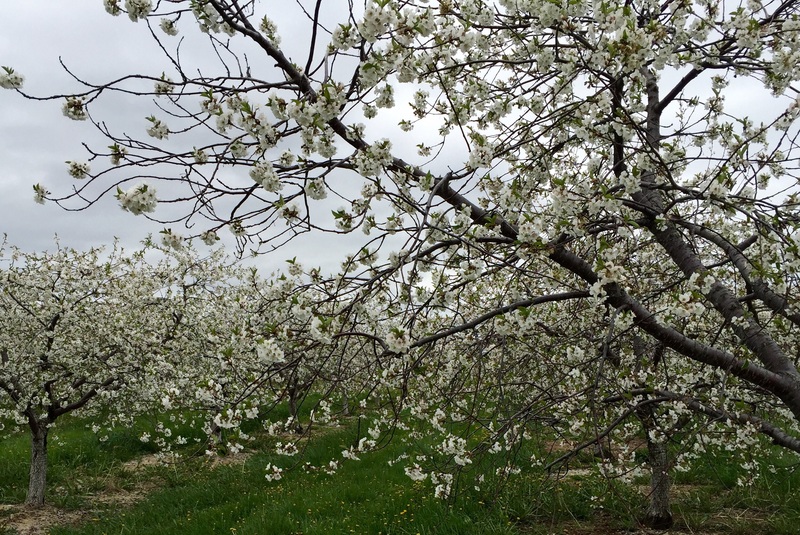 Cherry orchards put on a dazzling display each spring. The fruit is ready to pick around 60 days later. The cherry is found not only in juice but wine, pies, jams, jellies, relish, salsa, BBQ sauce, and come fresh, frozen, canned, and dried. Mom always brings home some dried cherries because she likes how they plump up in oatmeal; she is always sure to stick some fine cherry wine under the car seat too. She prefers the cherry wine at the Simon Creek Vineyards although her favorite winery is Harbor Ridge Winery who boasts such wines as Knockin’ Heads Red, Call Me a Cab, and Gimme One Good Riesling. Her favorite place to eat cherry pie is Harbor Fish Market and Grille in Bailey’s Harbor.